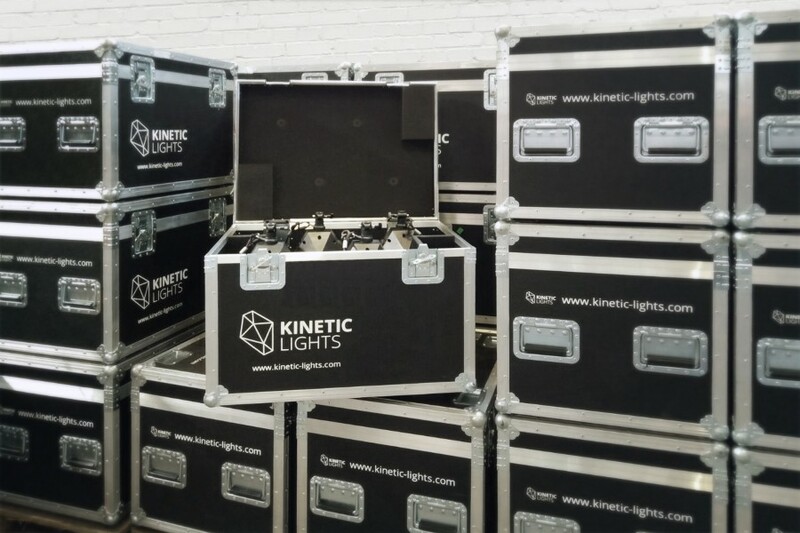 The KINETIC LIGHTS system can be purchased for permanent indoor installations of any size and arrangement. The system consists of winches, light fixtures and control software. In addition to existing light elements and arrangements, KINETIC LIGHTS designs, plans and implements custom installations. This includes individual layouts and custom light attachments as well as customized choreographies of light and movement.